WolfVision Ceiling Visualiser Presentation Systems is an essential business tool that can be integrated into a suspended ceiling or mounted directly onto the ceiling just like a projector. This enables the speaker’s workspace to remain free of technical equipment, ensuring that nothing is obstructing the view between the speaker and the audience during a presentation, while larger items can be displayed than with a desktop Visualiser. 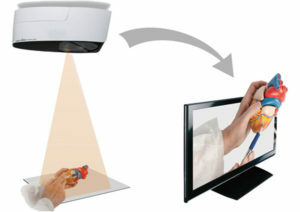 The unique Synchronised Light-field highlights and illuminates the pick-up area – showing exactly where to place display materials, and when zooming in and out, the size of the light-field adjusts automatically. Self-adhesive dry-erase working surfaces are available as optional accessory items. Once fixed to a working plate you can quickly write and erase using suitable whiteboard markers and erasers. 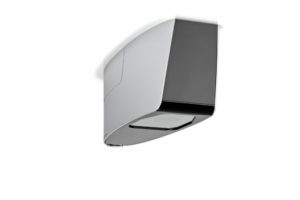 This enables theWolfVision Ceiling Visualiser Presentation Systems to be used as a whiteboard or ‘digital Flipchart’, and of course, this written material will be included in recordings. 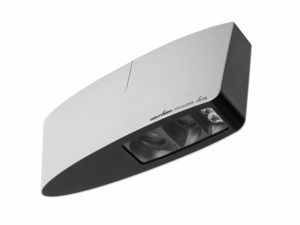 The WolfVision Ceiling Visualiser Presentation Systems comes with a native HD camera and offers multimedia recording functionality with audio in HD, and integrated WLAN. The HD camera includes a wide-angle lens with a very high depth of focus. This is very important for working with larger 3-dimensional objects. Even at high magnification, images are always sharp from top to bottom. These features enable presentations and lectures to be captured with HD video and audio, and it’s also compatible with WolfVision’s vSolution Connect software. The WolfVision Ceiling Visualiser Presentation Systems can be used as a standalone lecture capture system, or operate it as a part of a larger lecture recording or video collaboration solution. Contact us today to assist you with implementing the WolfVision Ceiling Visualiser Presentation Systems for your meeting rooms, huddle rooms, and training facilities. These are a must-have business tool for Architects, Engineers, Lecturers, Manufacturers, and so many industries who have to use video collaboration.